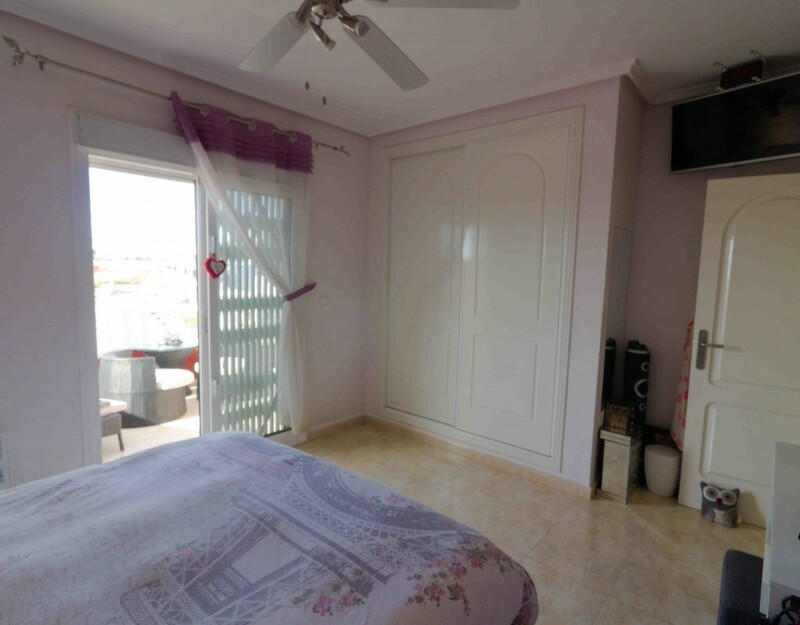 Distance to beach: 8 Mins. 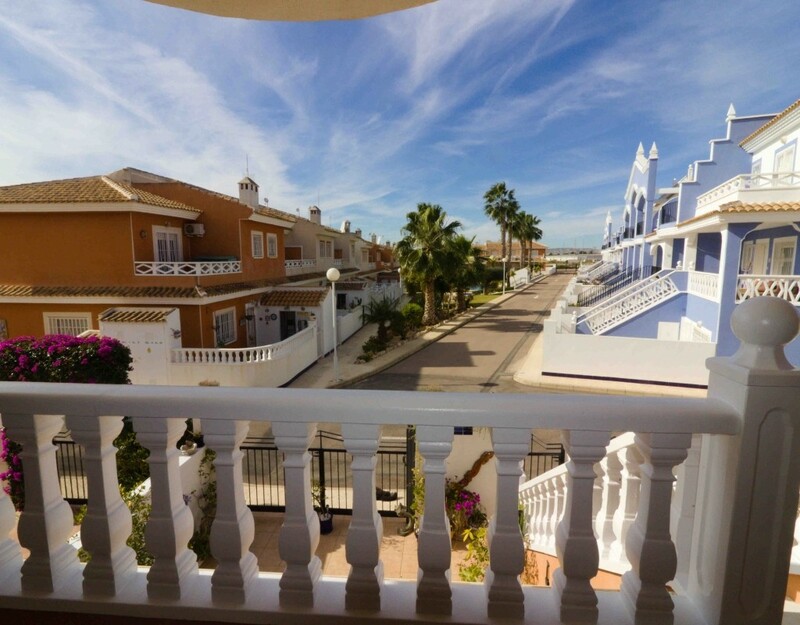 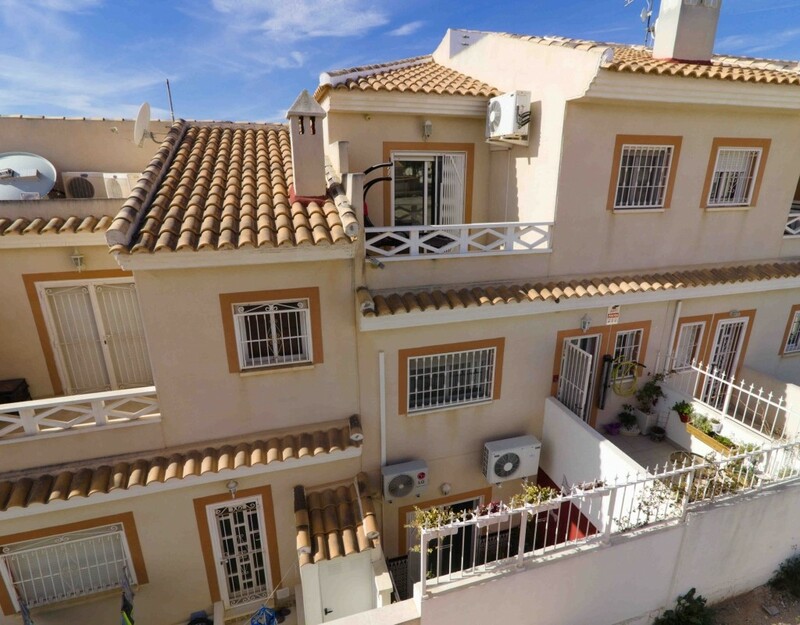 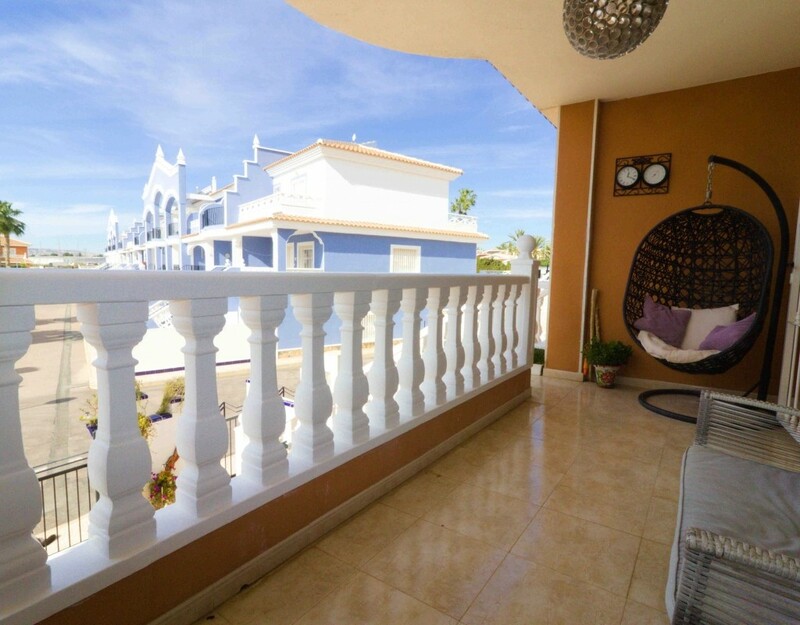 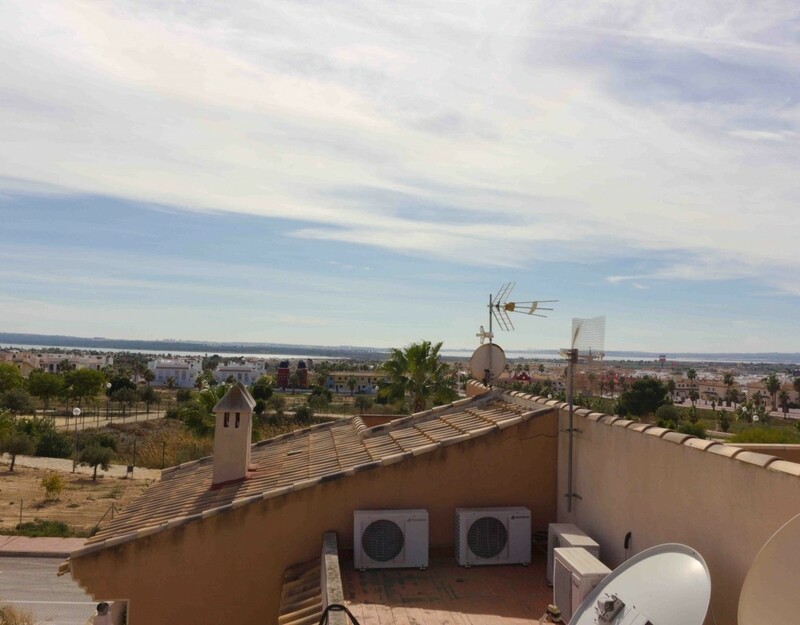 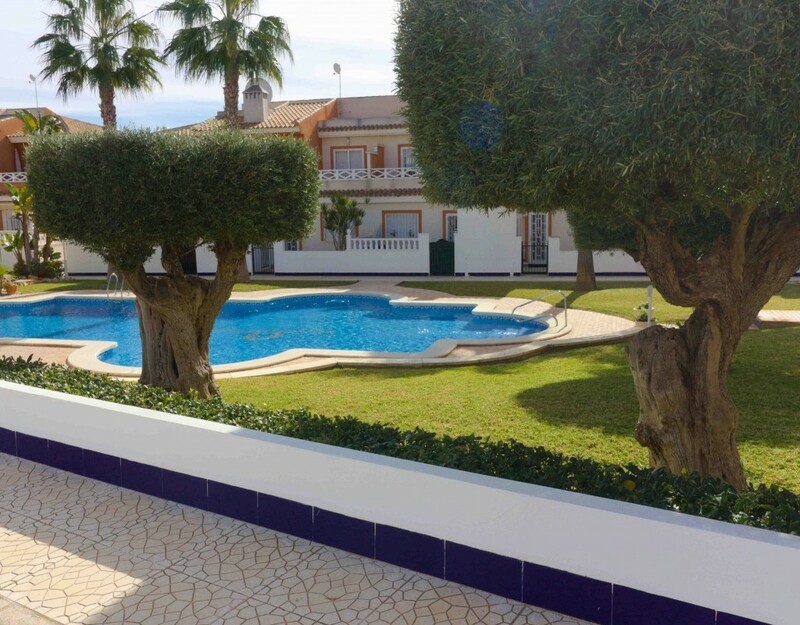 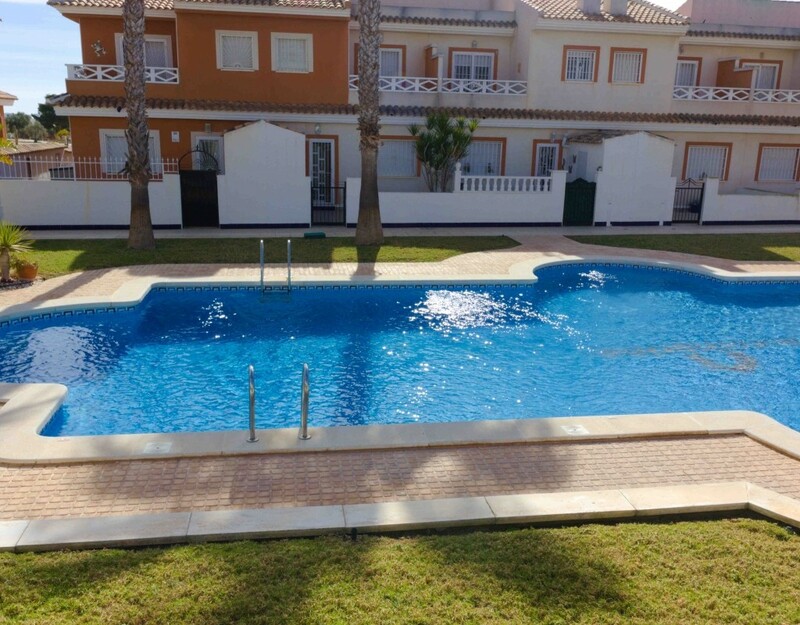 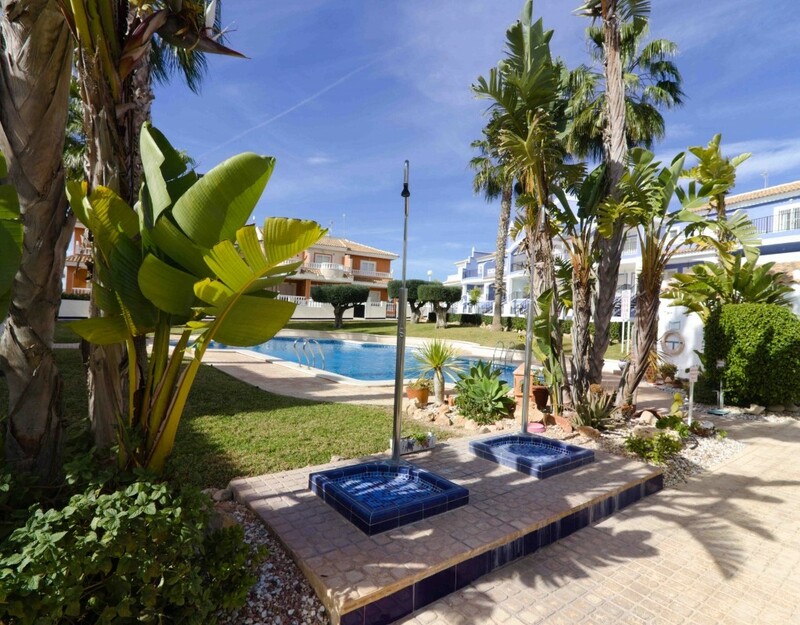 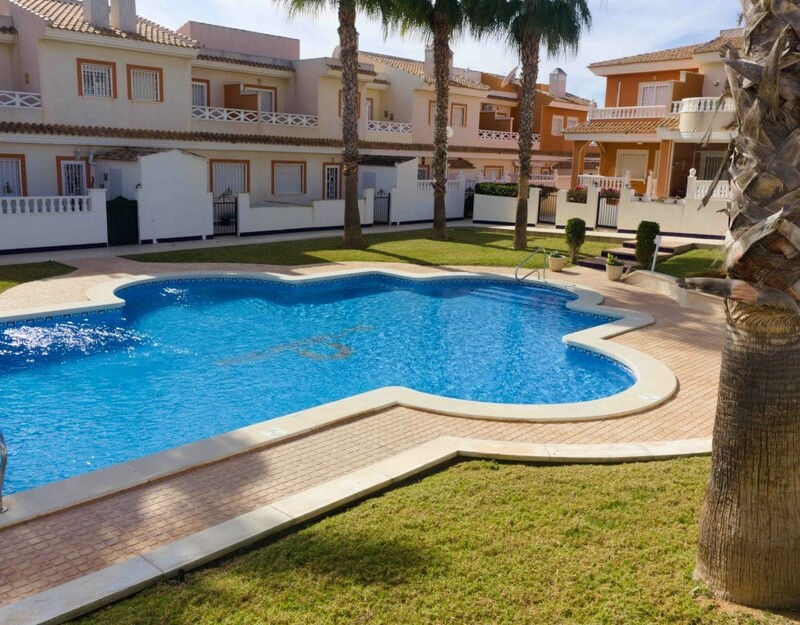 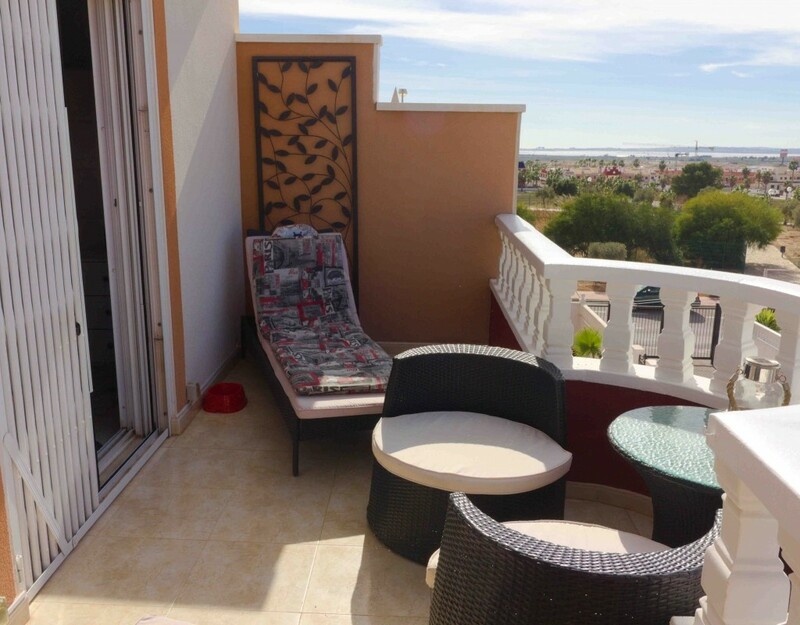 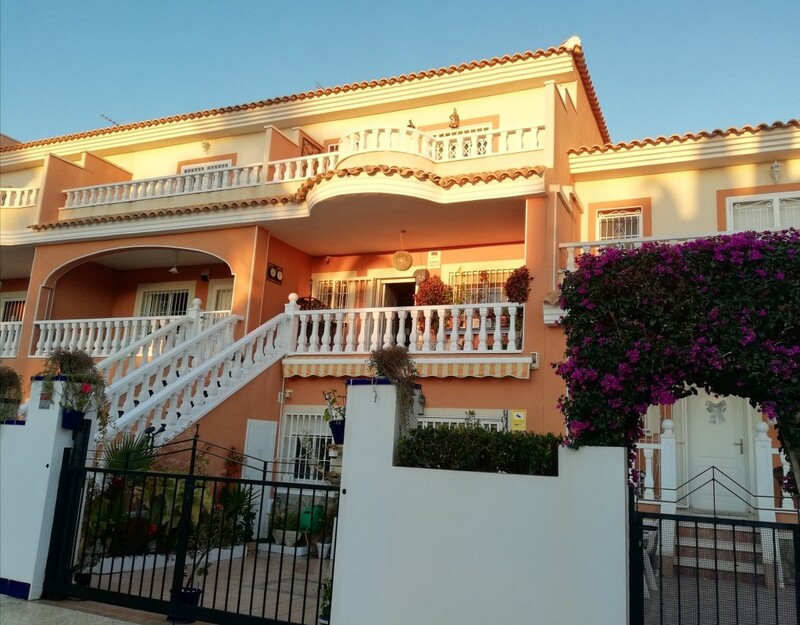 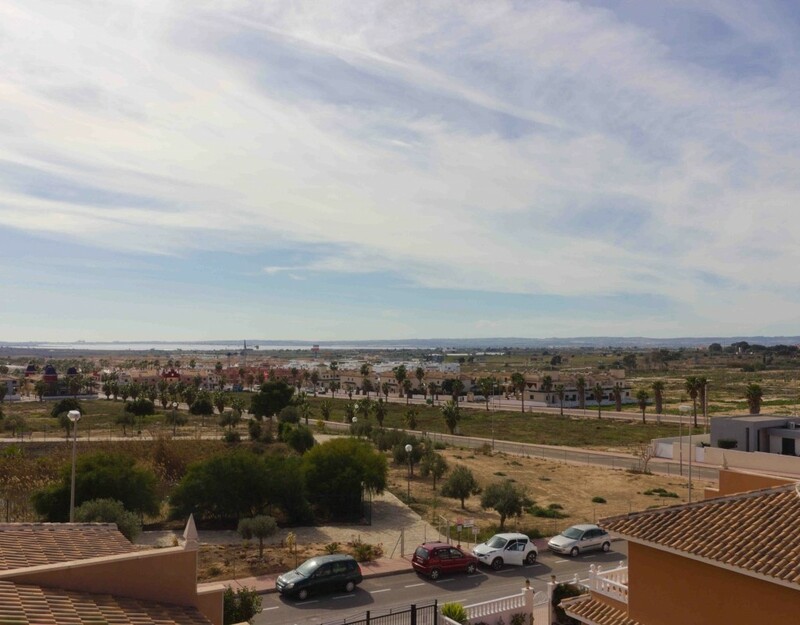 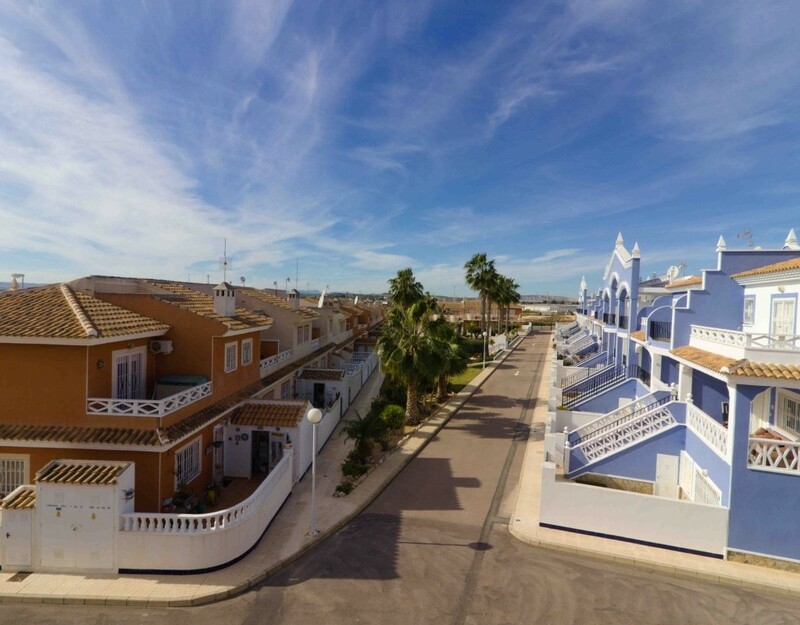 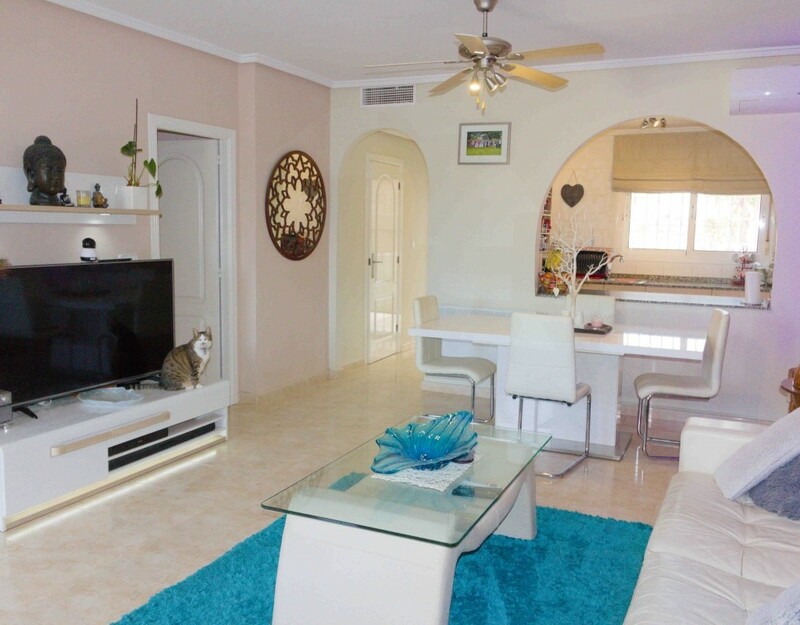 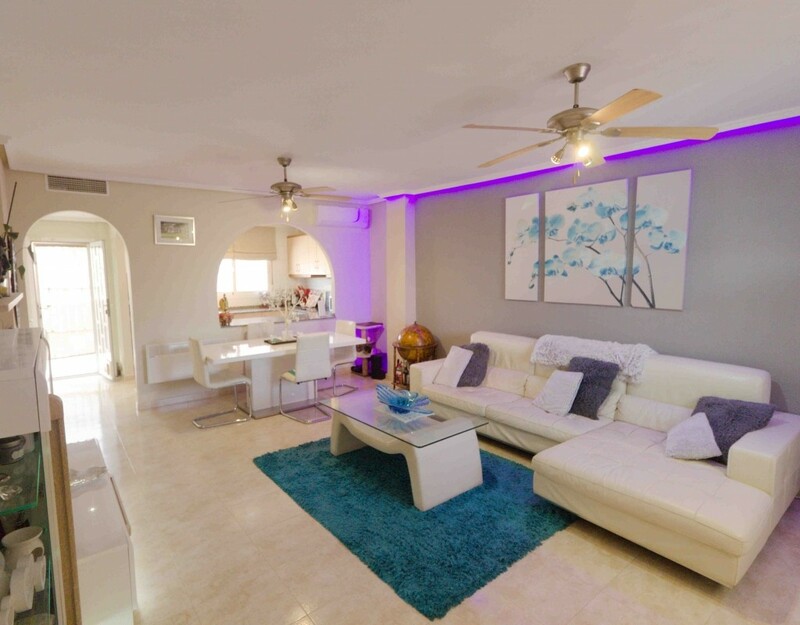 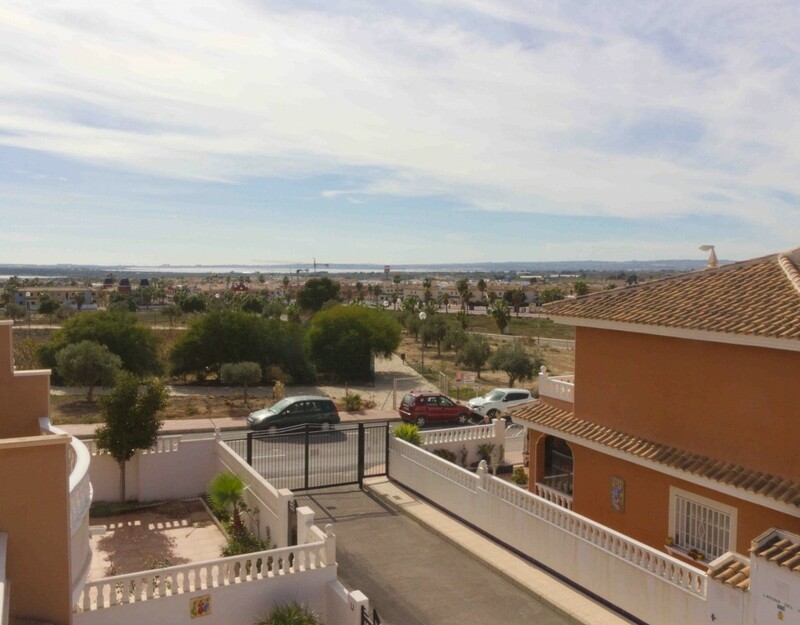 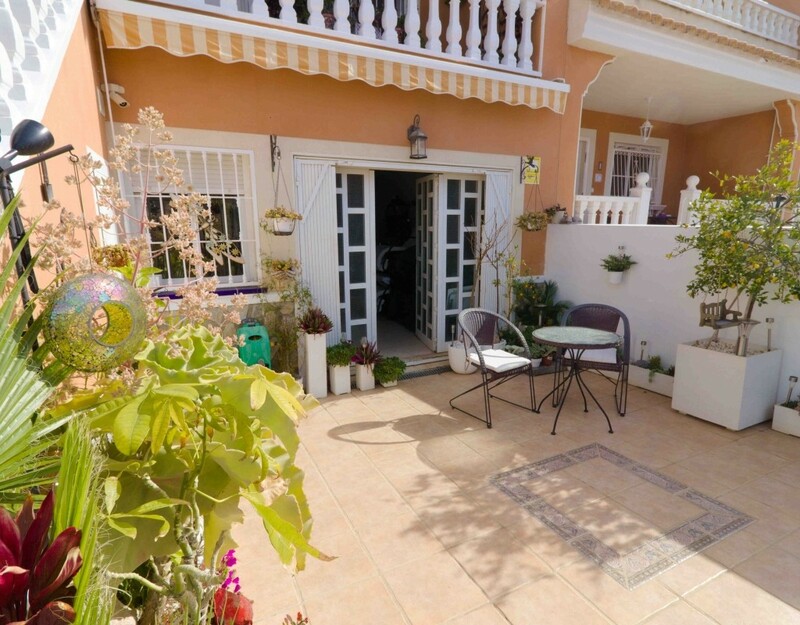 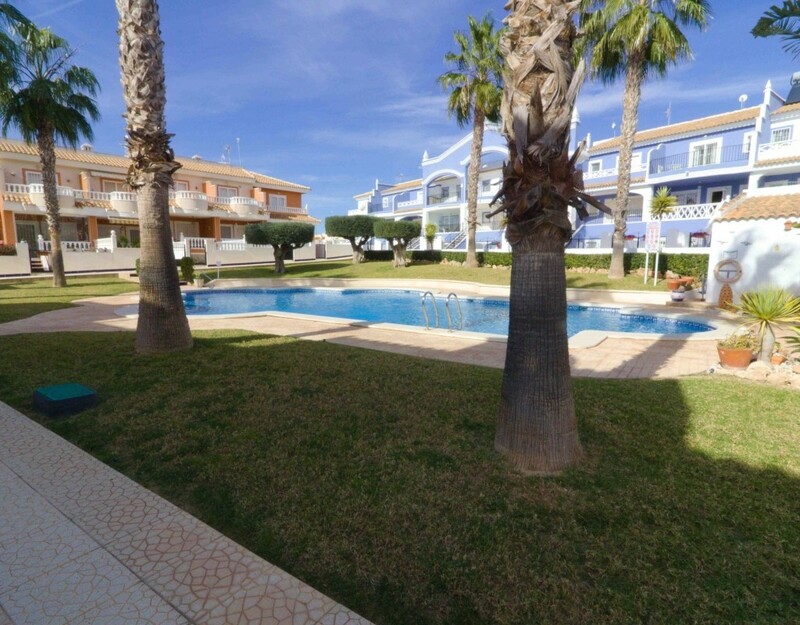 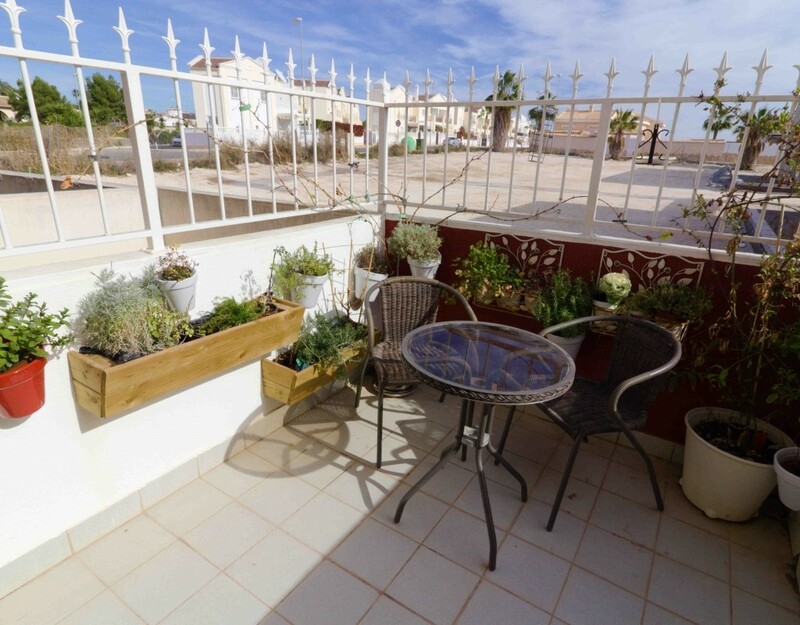 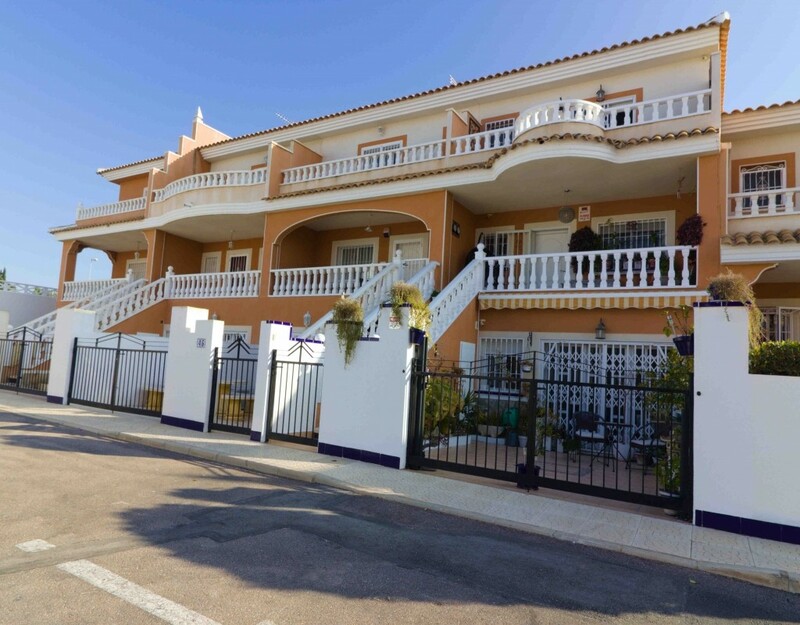 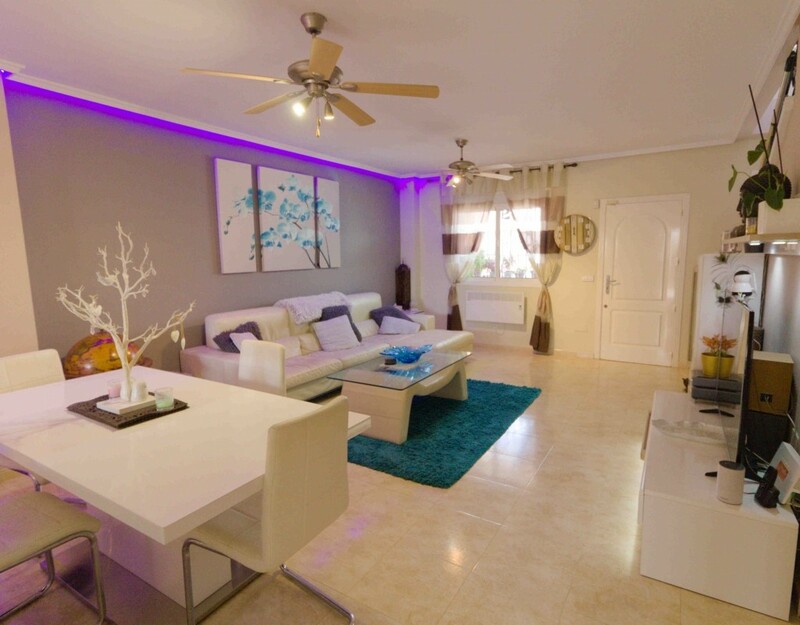 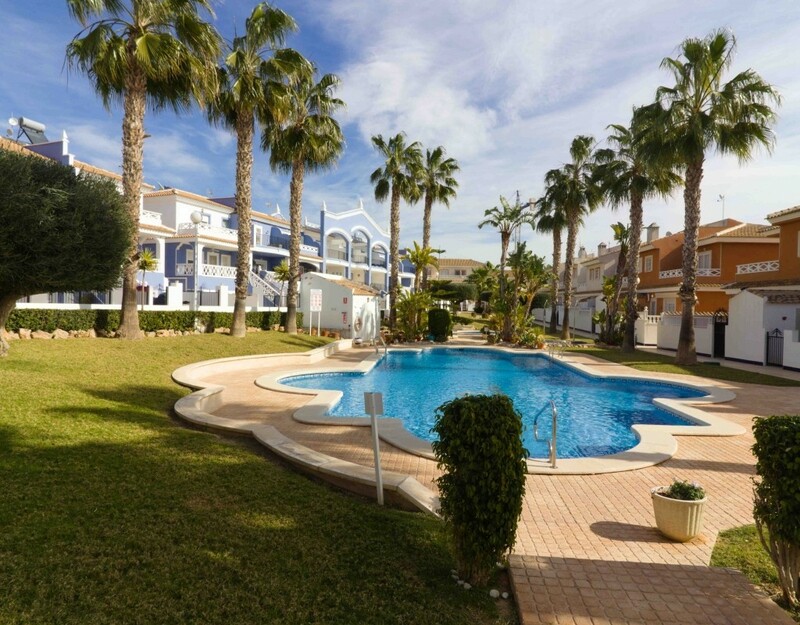 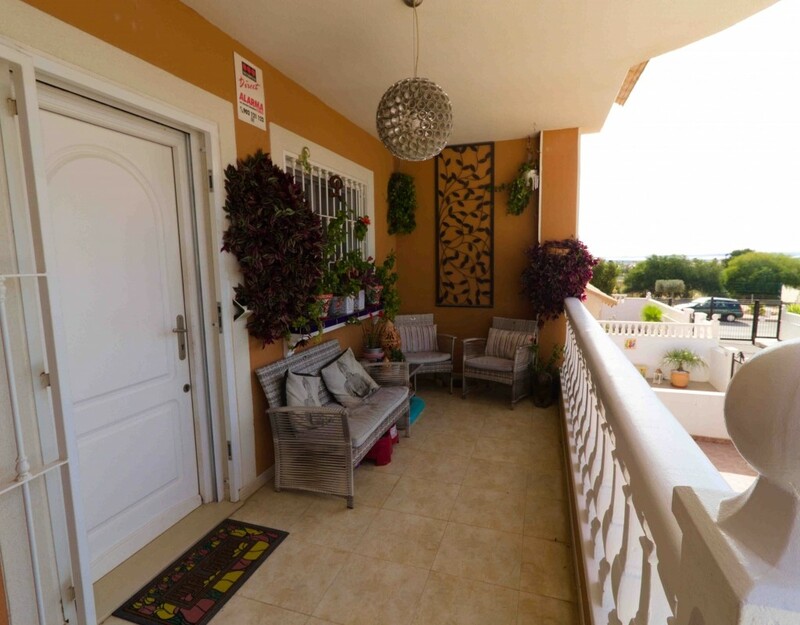 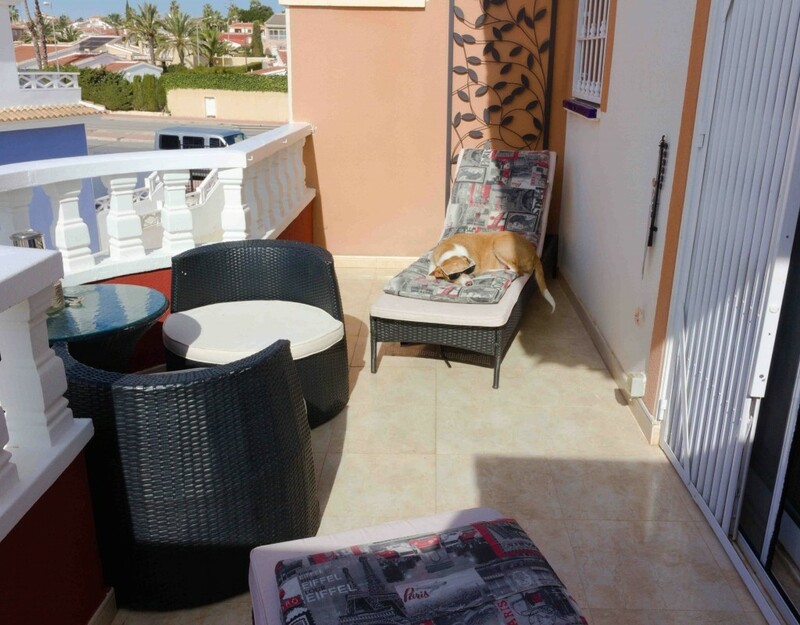 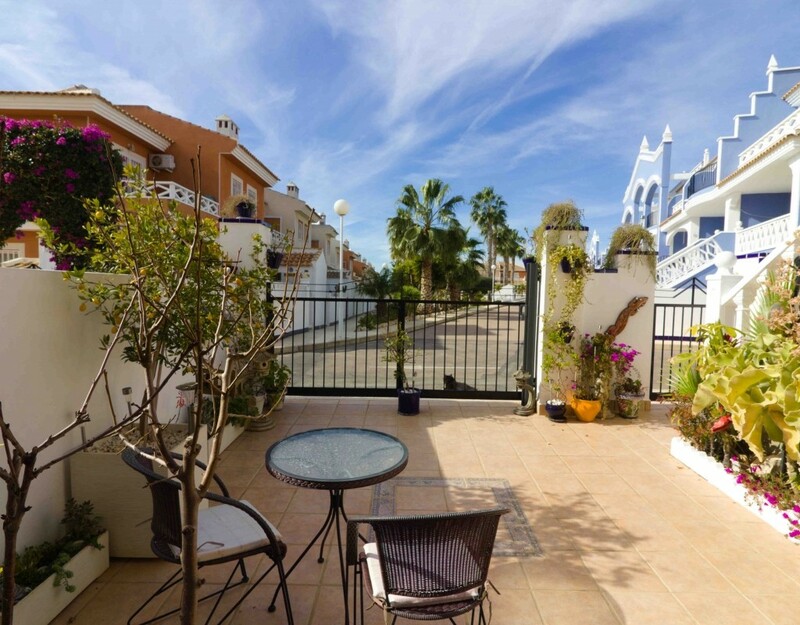 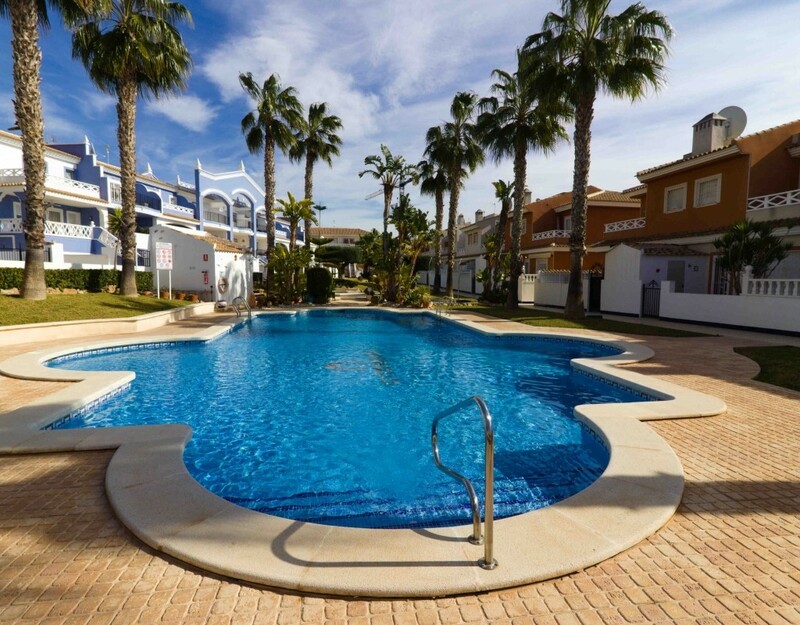 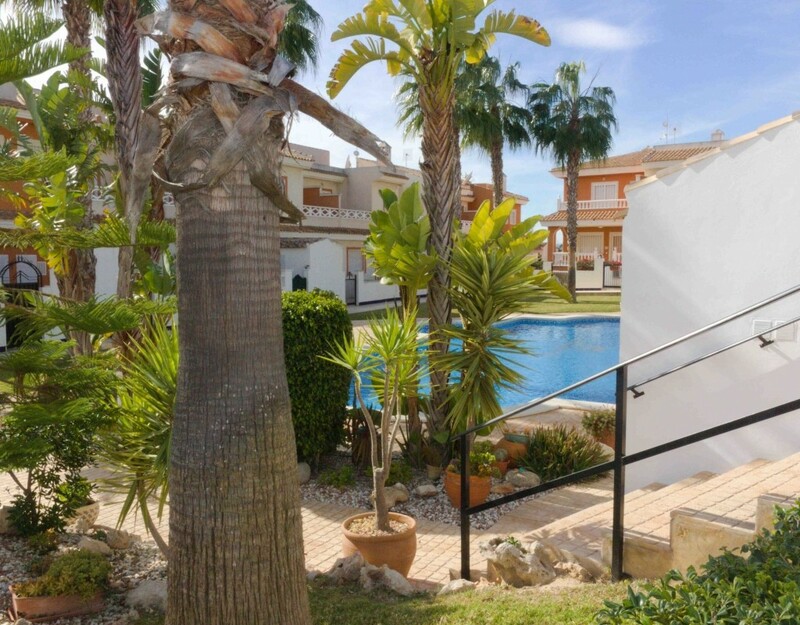 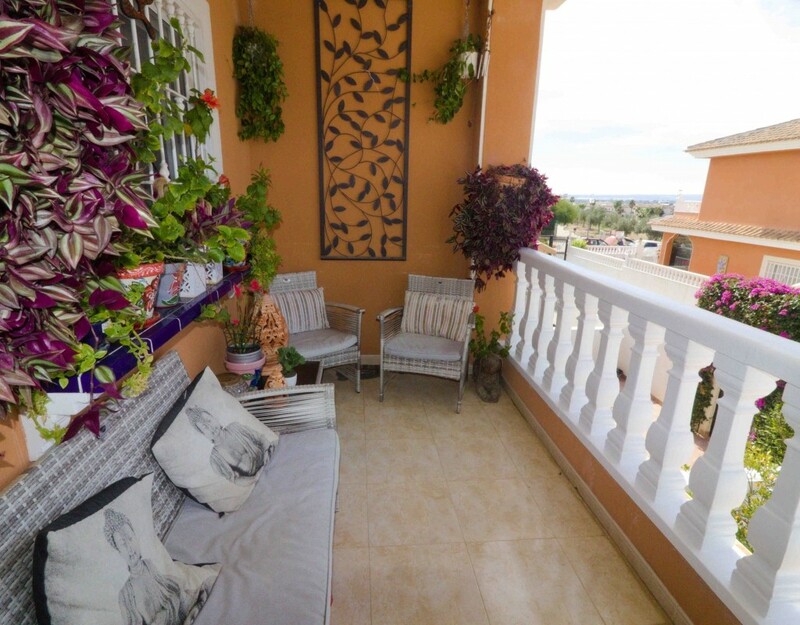 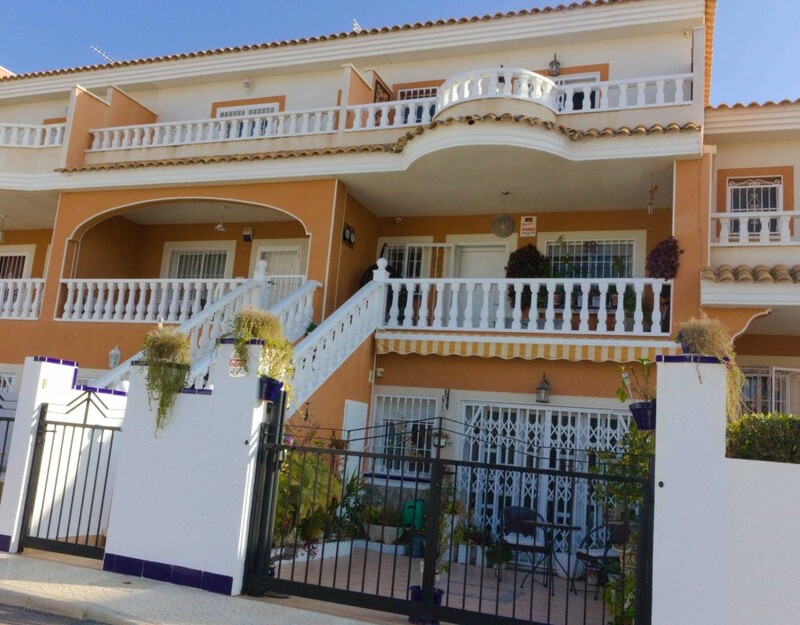 This stunning and very spacious West facing, three bedroom "Lola Super" townhouse is located in the very sought after area of Dona Pepa, Ciudad Quesada on the Costa Blanca South. 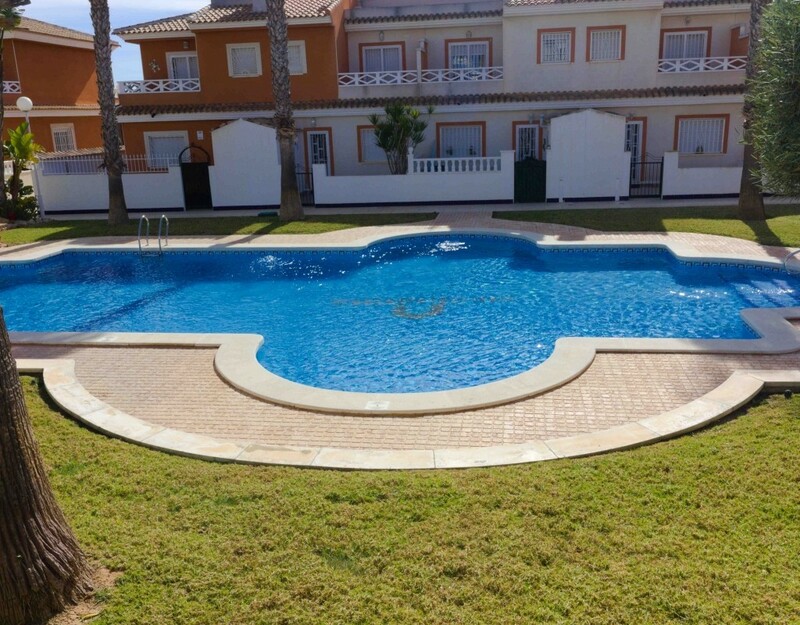 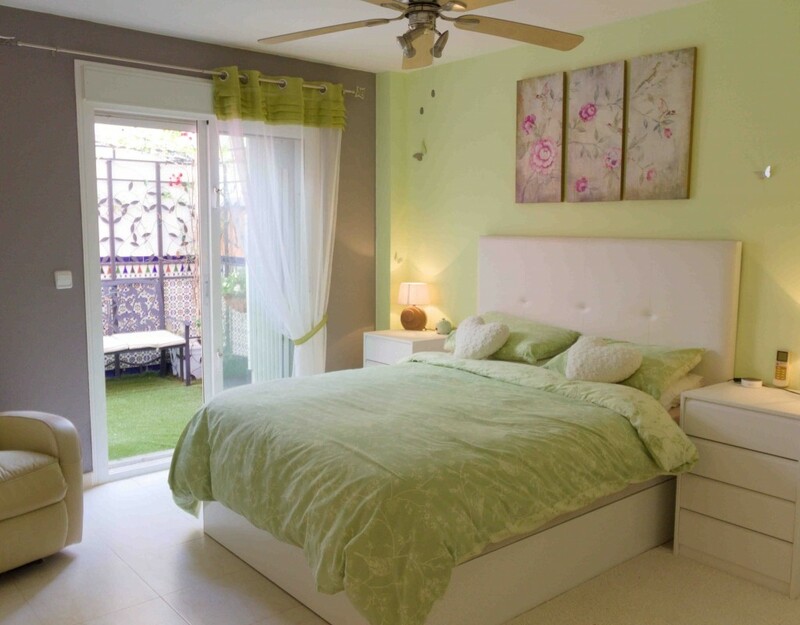 The property makes up part of an attractive gated community called La Laguna which boasts ample sun-bathing space, landscaped gardens plus two wonderful swimming pools. 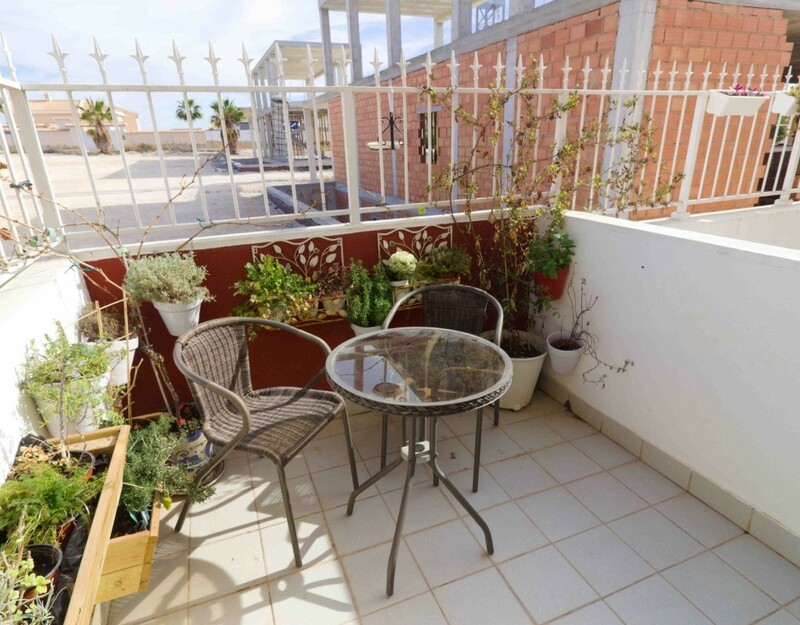 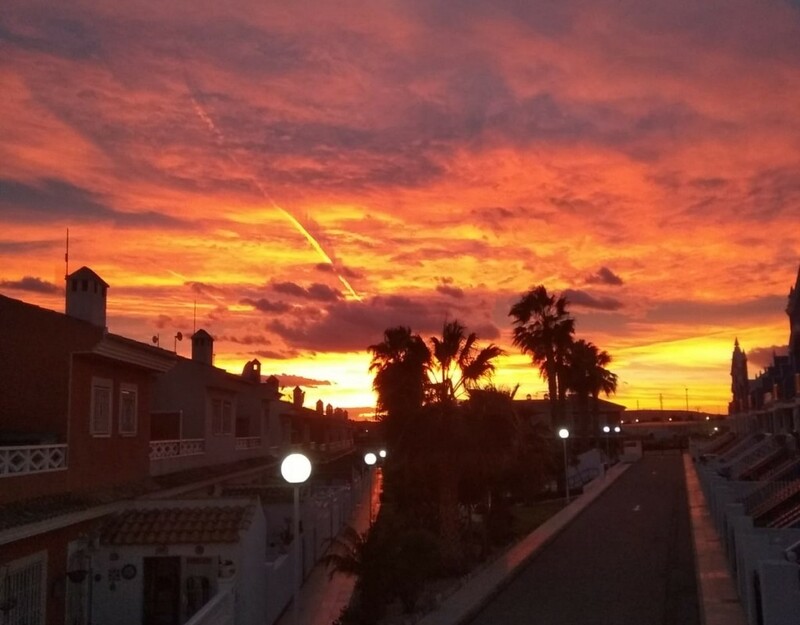 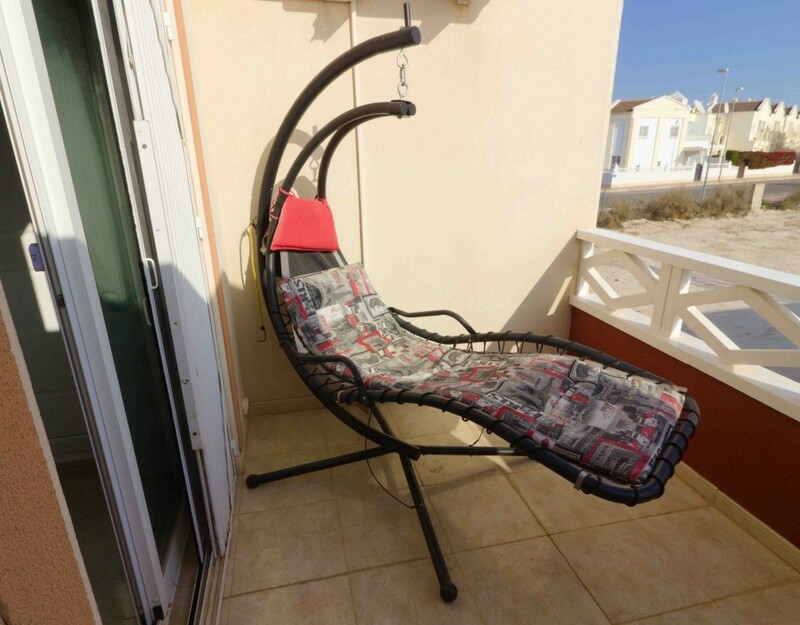 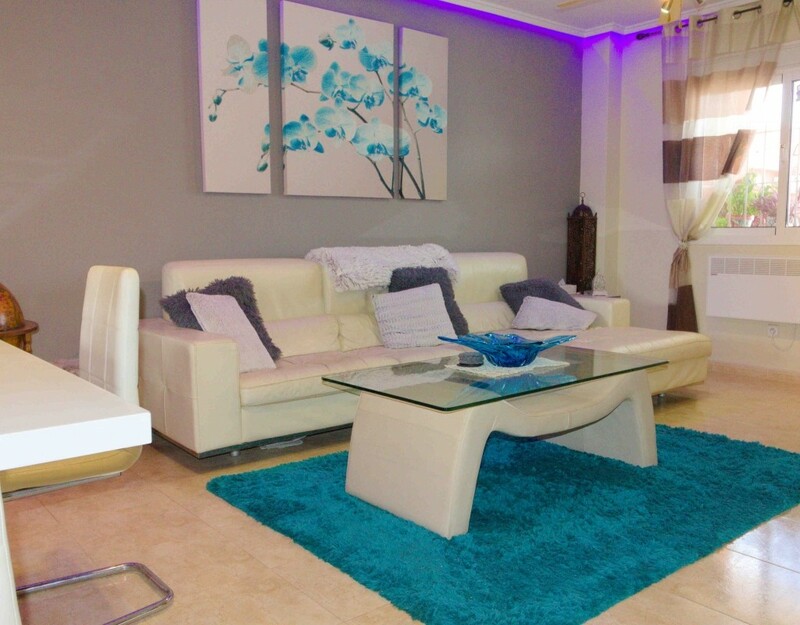 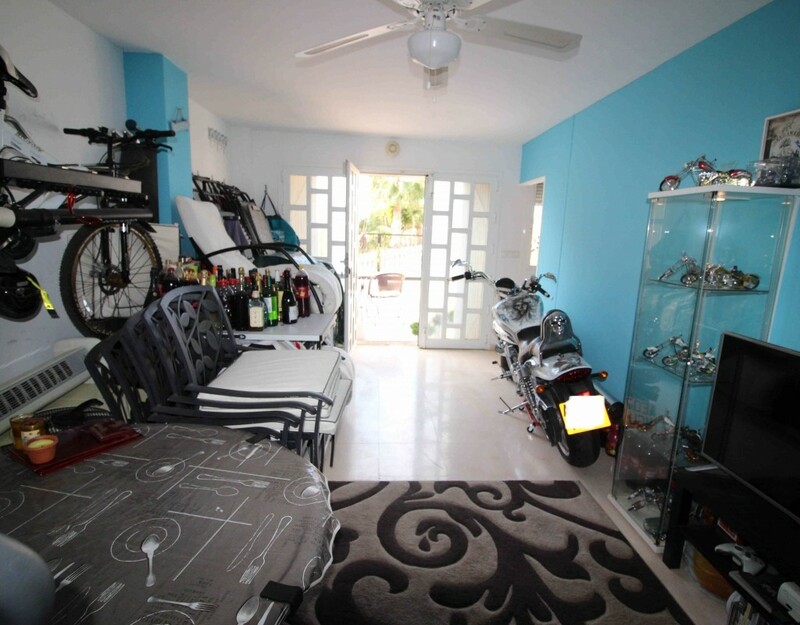 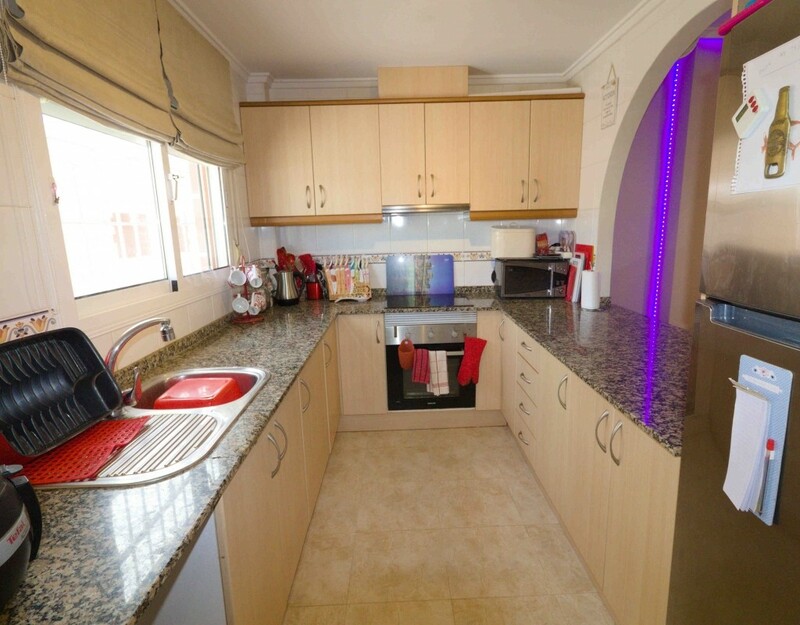 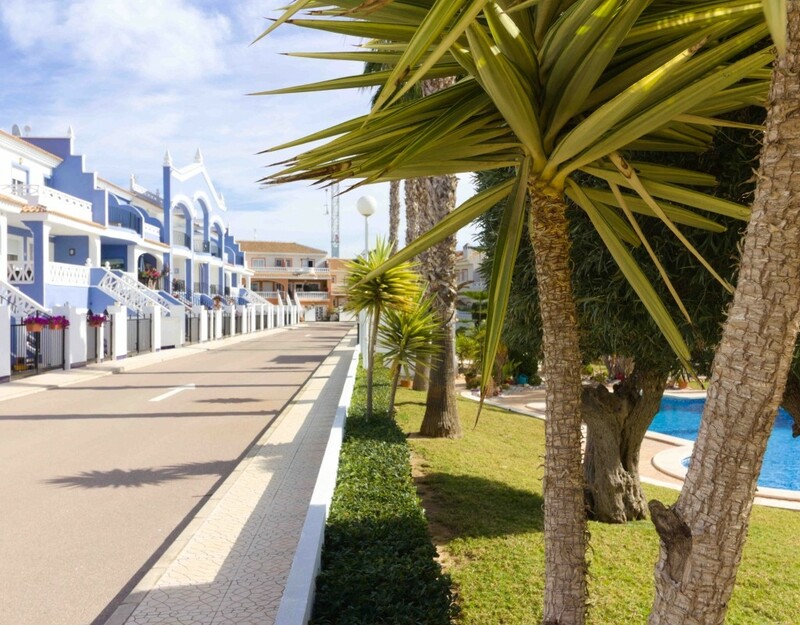 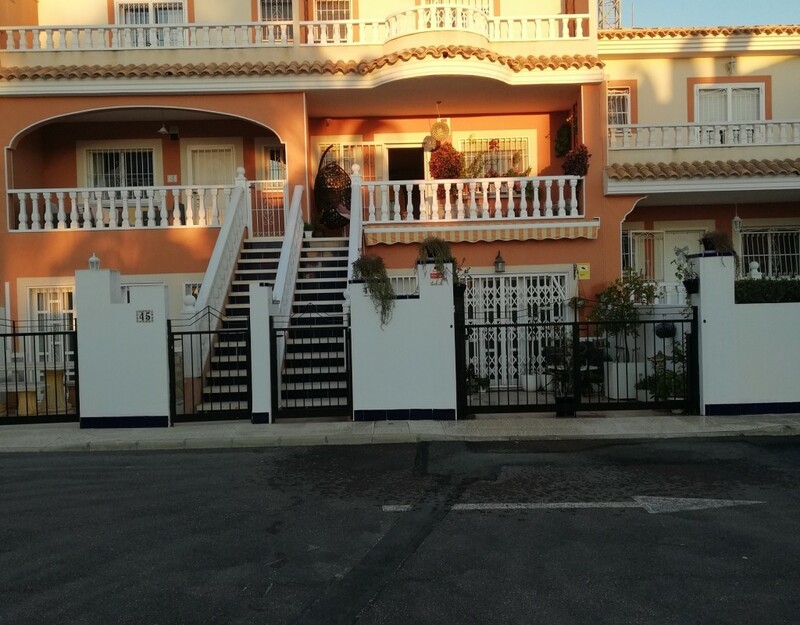 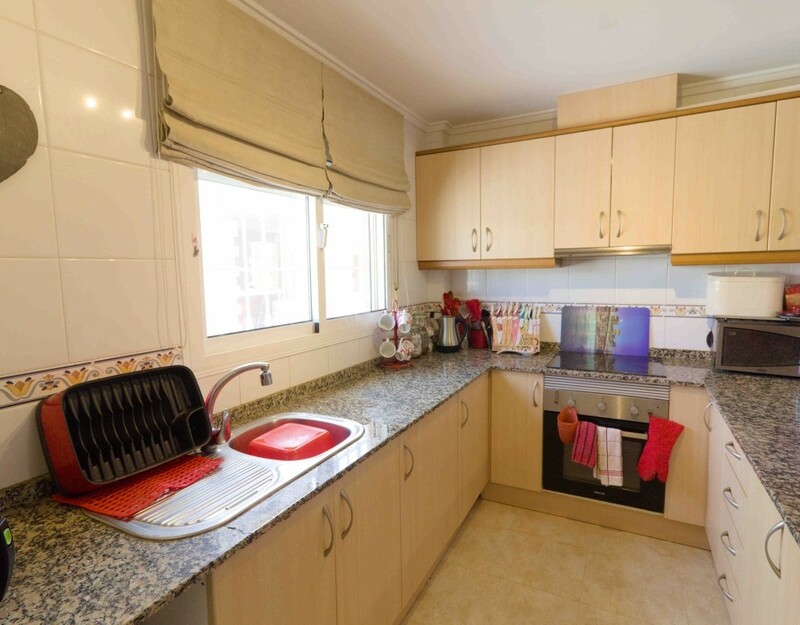 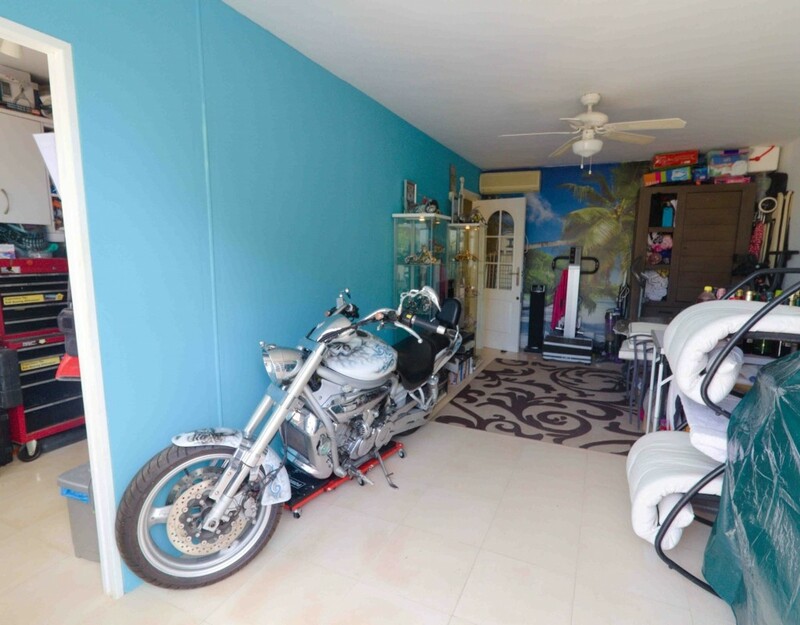 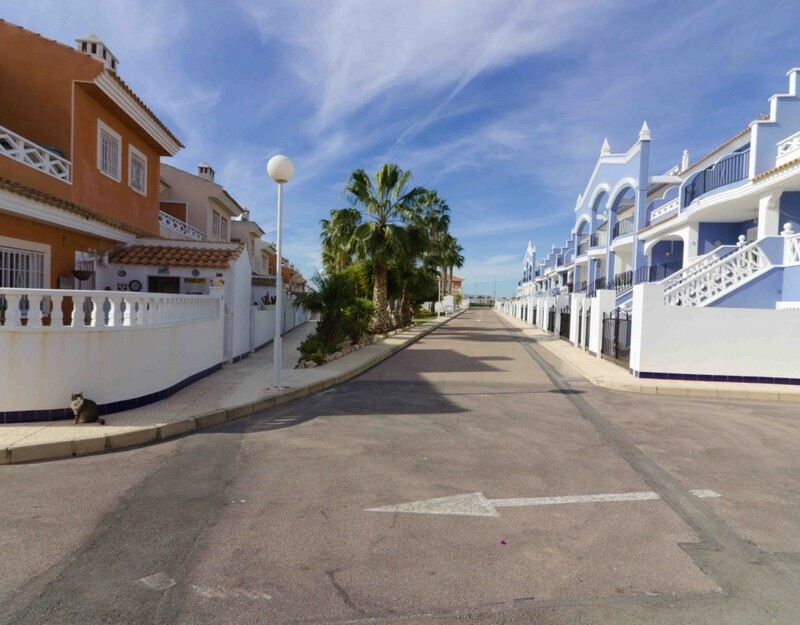 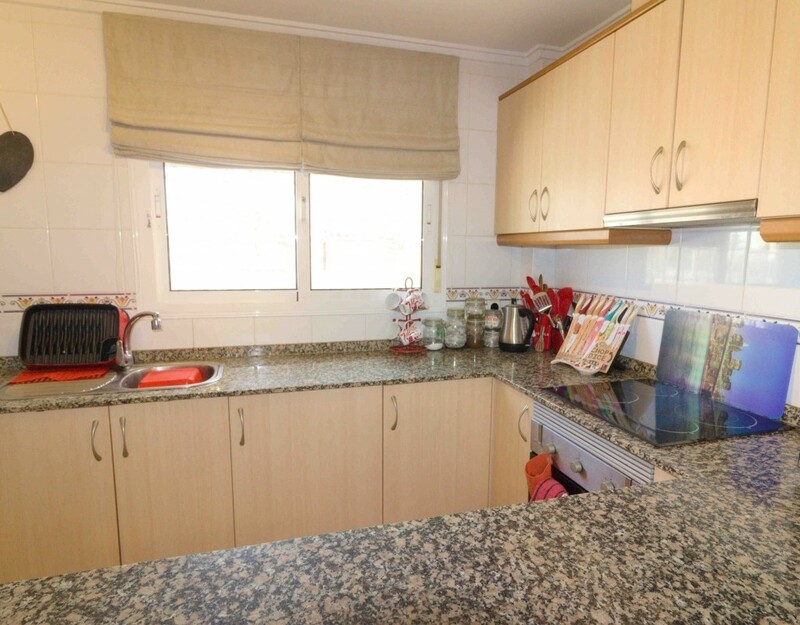 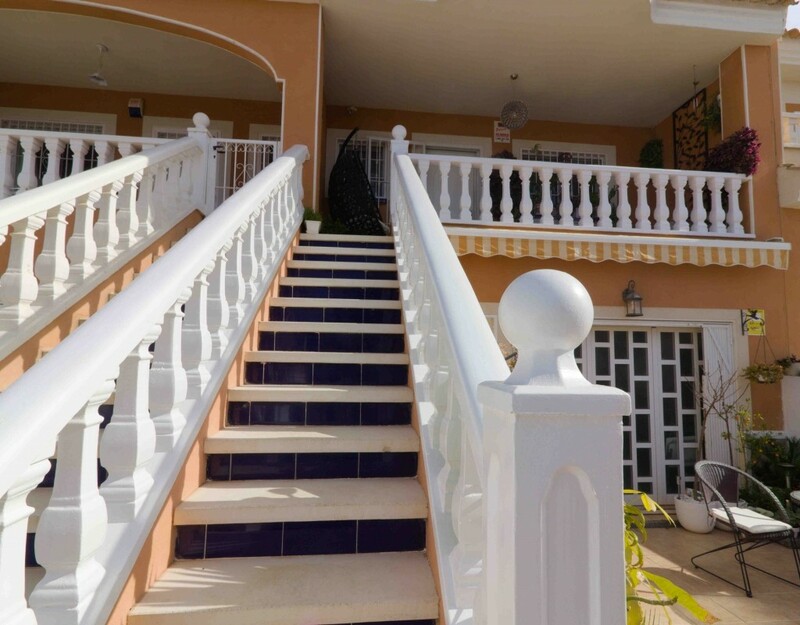 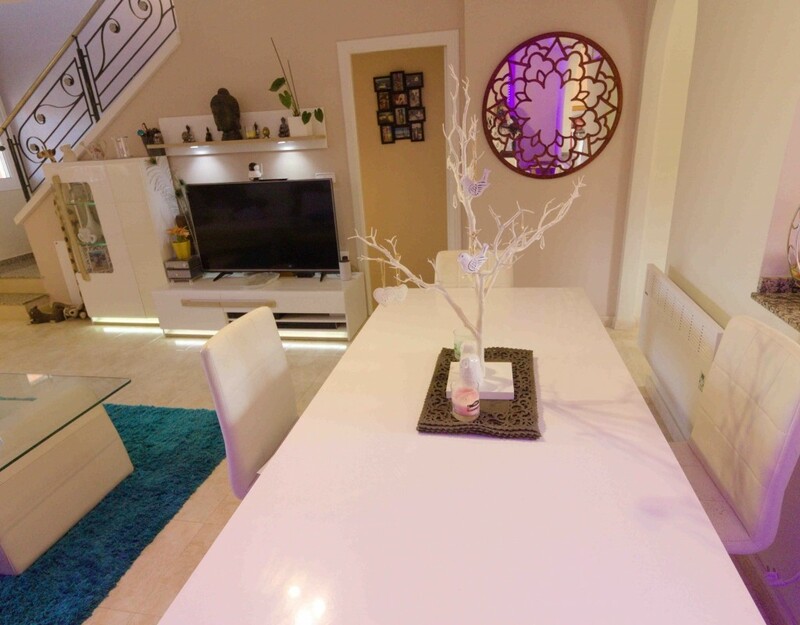 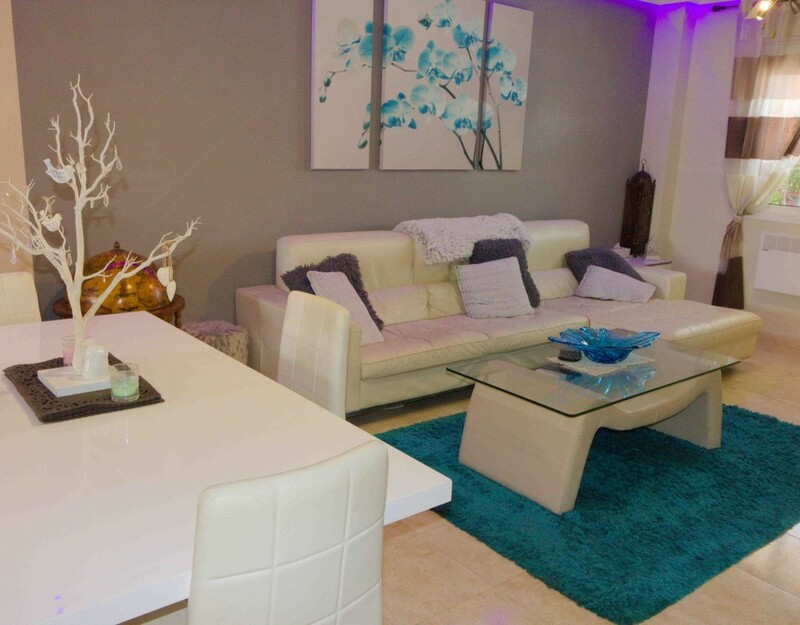 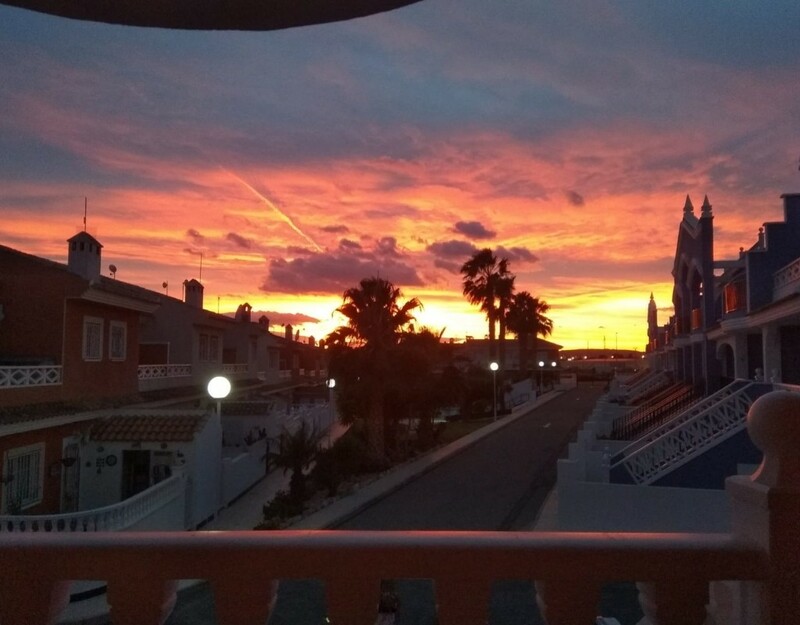 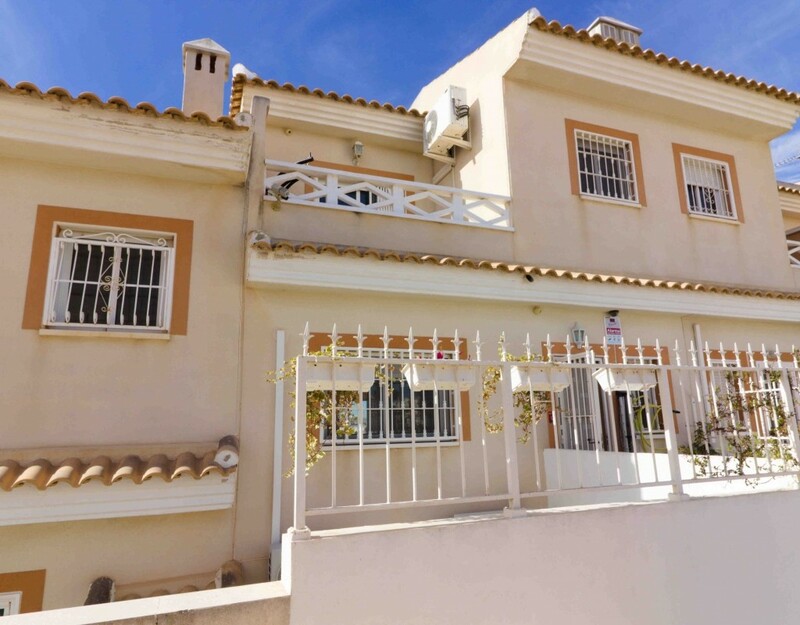 Ideally situated within easy walking distance to a good choice of local amenities such as bars, restaurants, supermarkets, a pharmacy, a medical centre along with the bustling Quesada high street with its lovely new shopping boulevards and a wealth of other amenities and services. 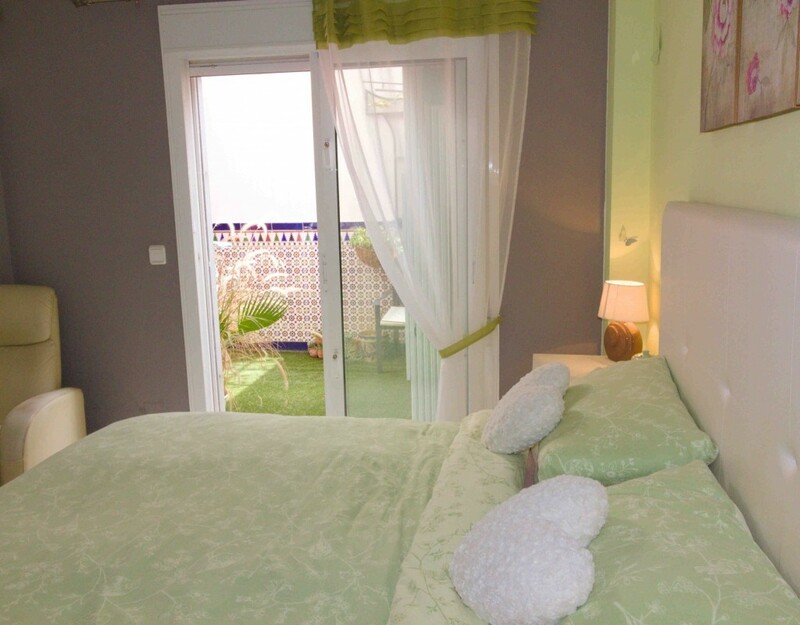 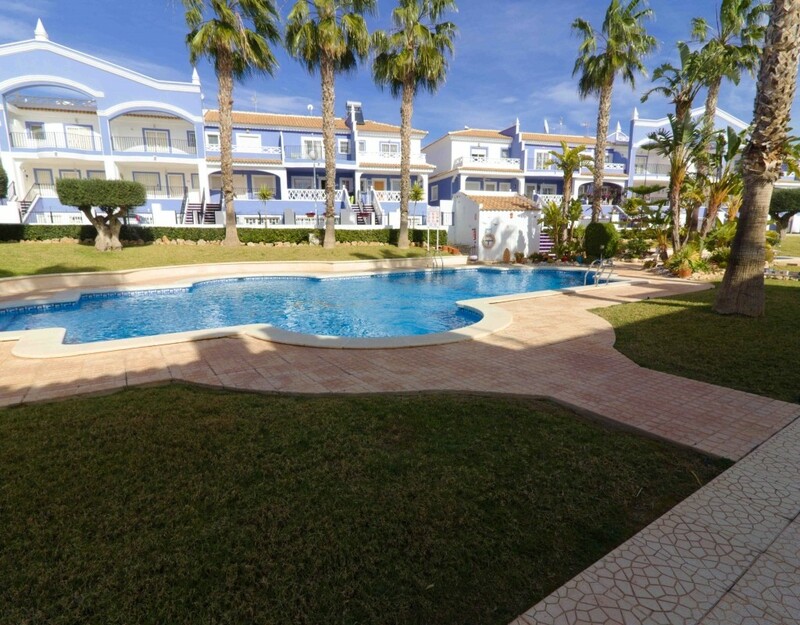 Also nearby you will find the beautiful La Marquesa golf course plus the popular family Aqua Park. 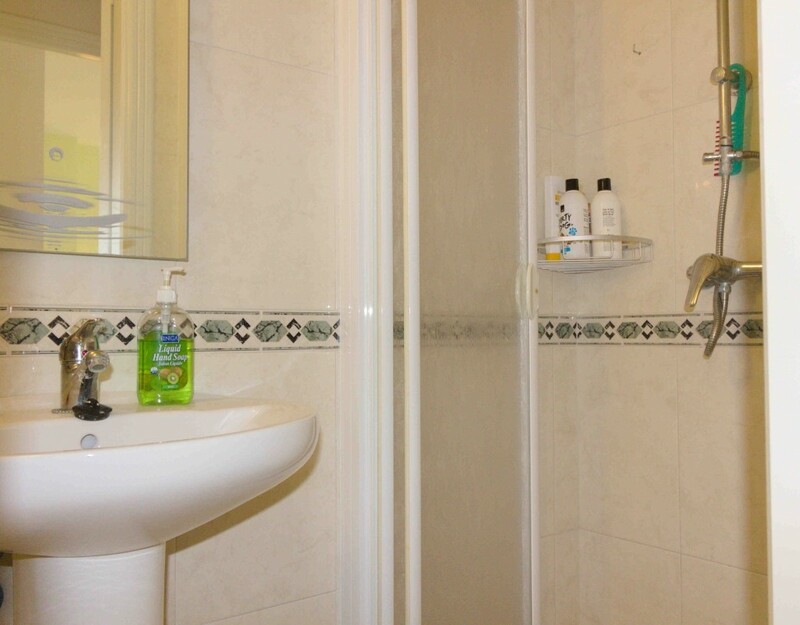 This delightful property has been maintained to a very high standard by the current owners and offers; a wonderful covered front sun terrace which overlooks the communal garden areas, an inviting, light and airy lounge/diner, a well appointed fully fitted kitchen with direct access to the rear East facing terrace, an ideal place to have your morning coffee plus there is also a lovely shower room on this level. 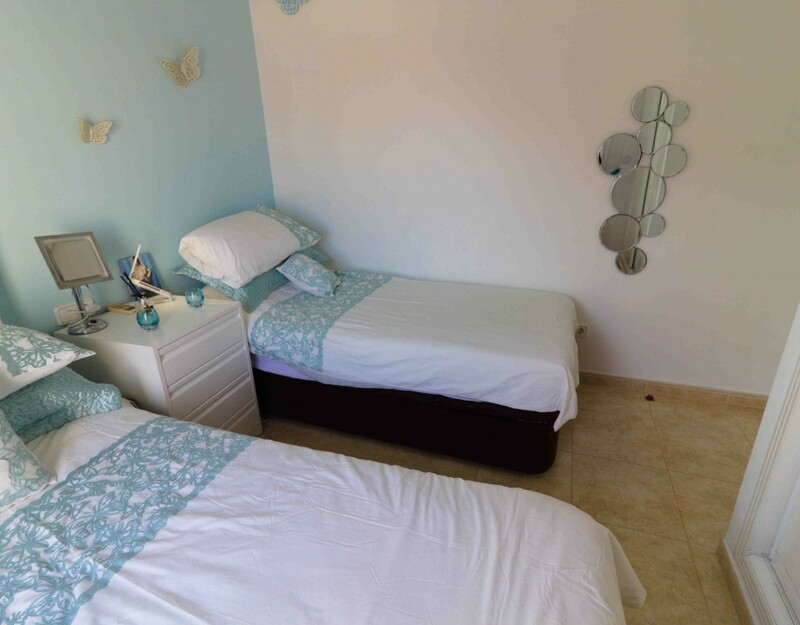 Upstairs you will find two double size bedrooms both with fitted wardrobes and both boasting their own wonderful private sun terraces, one of which is a very good size with room for sun loungers and a table and chairs whilst offering some lovely views of the communal pools and gardens along with some lake views, an idyllic place to relax. 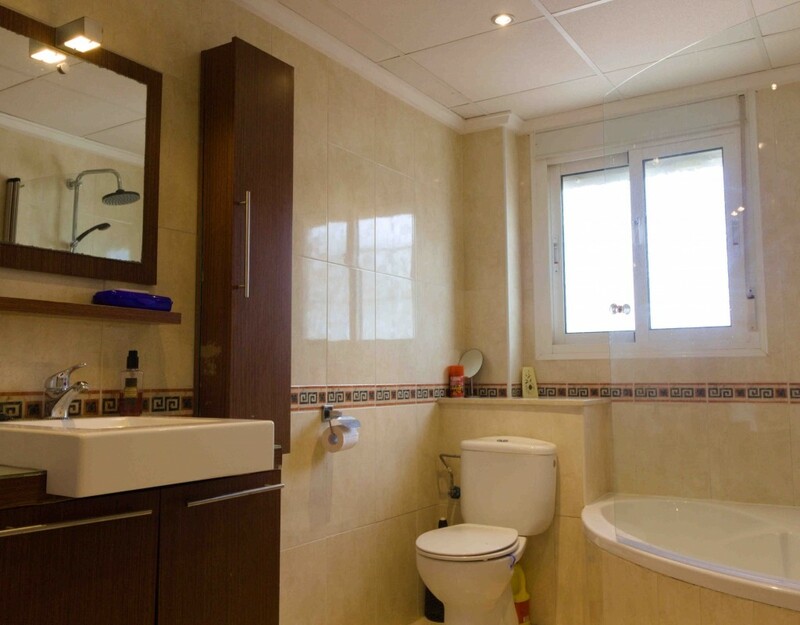 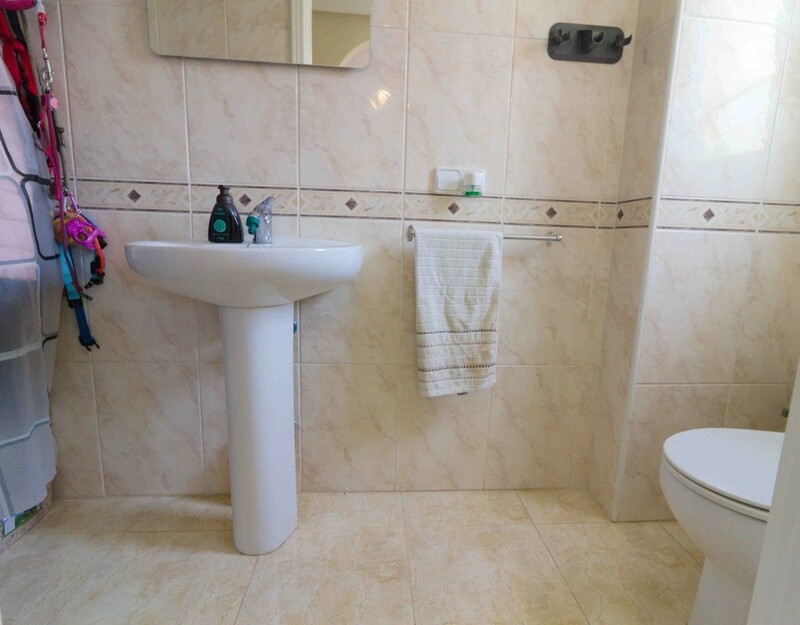 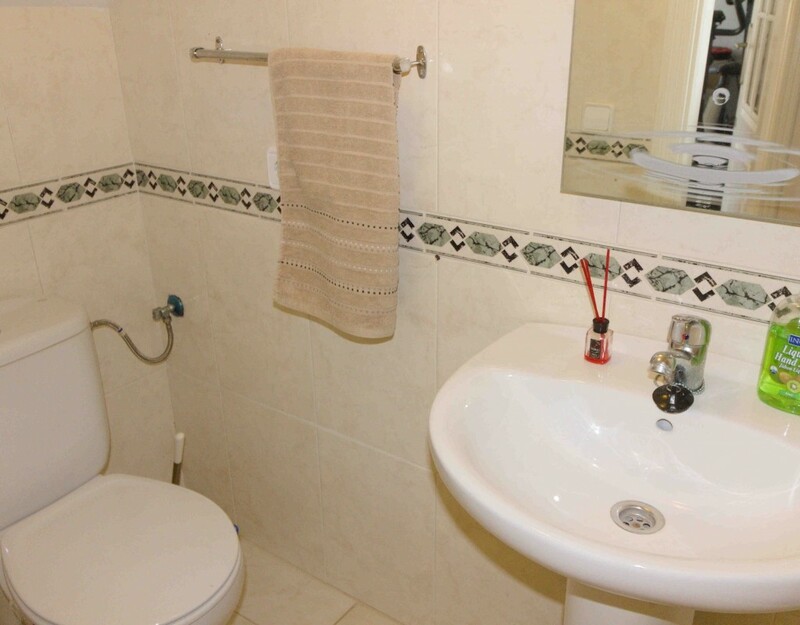 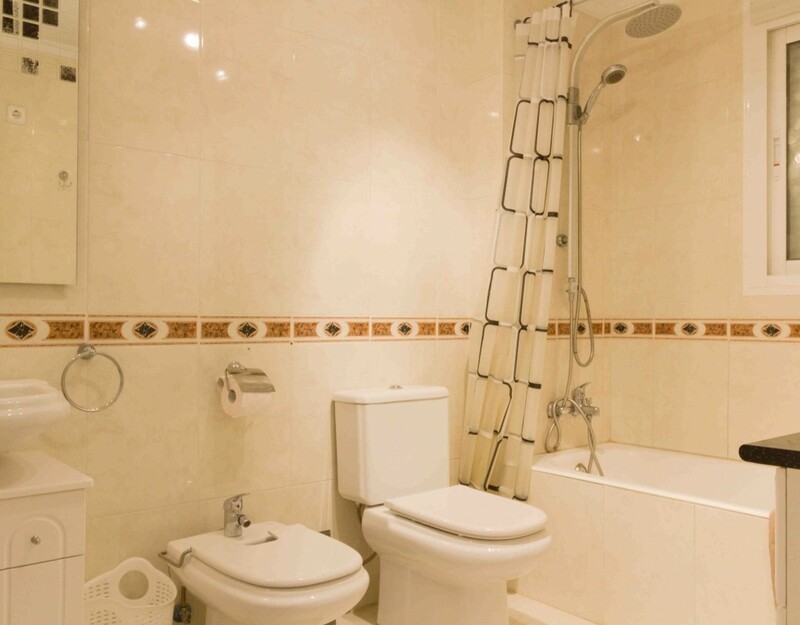 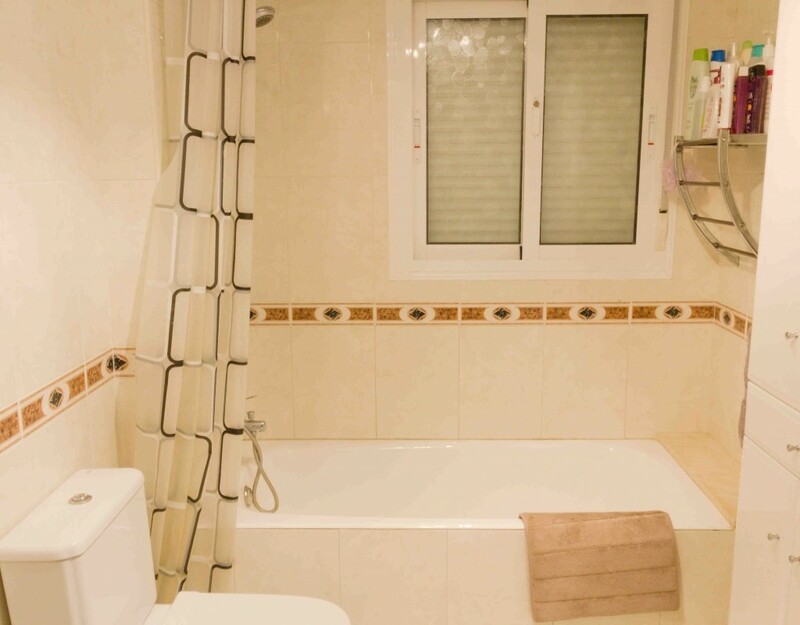 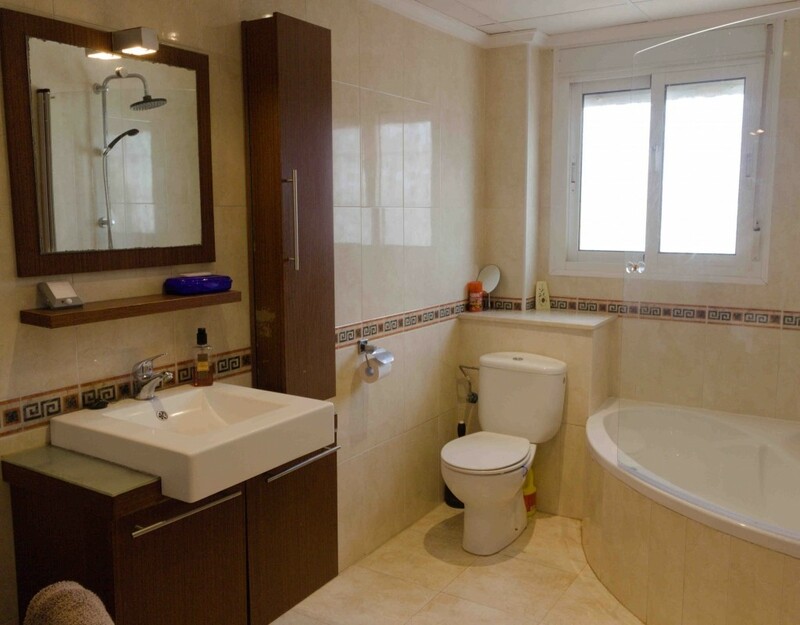 On this level you will also find a very spacious luxurious family bathroom with a corner bath feature. 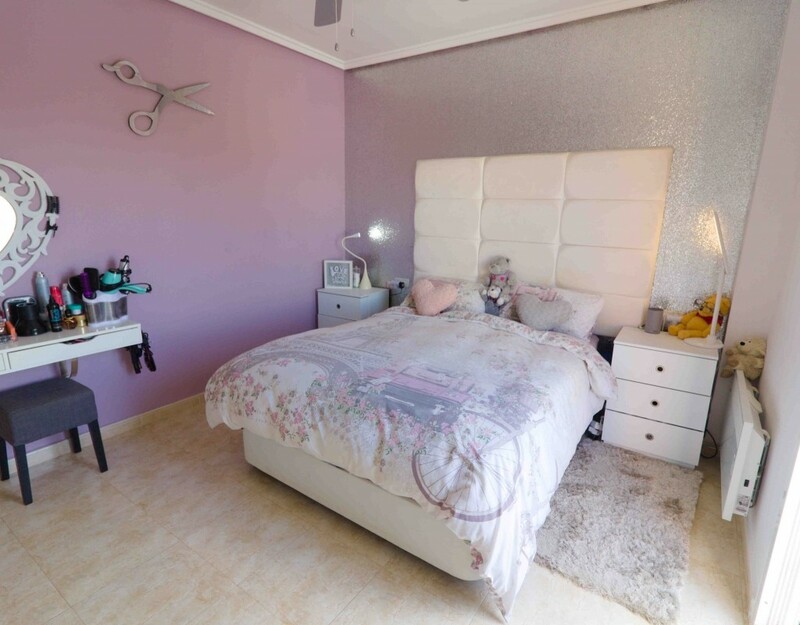 Downstairs on the lower level you will find a fabulous master bedroom with fitted wardrobes and a spacious en-suite bathroom. 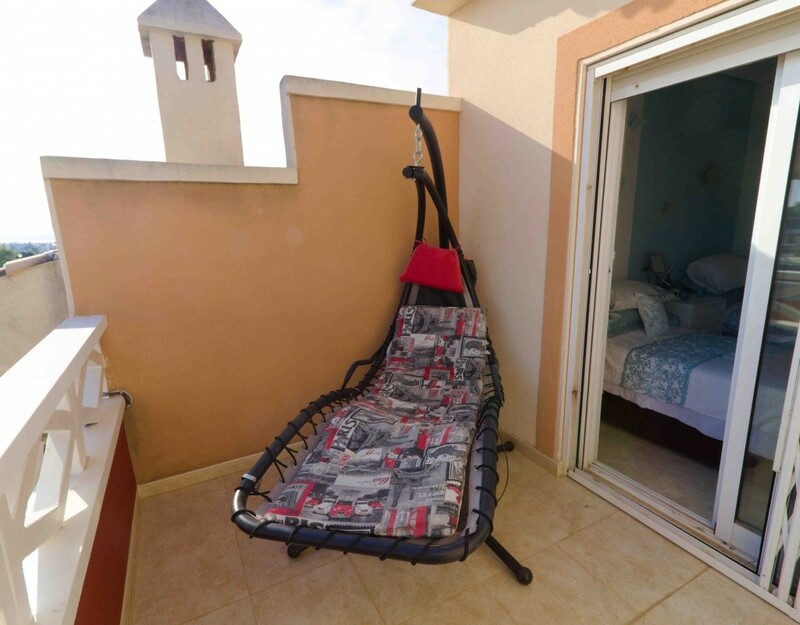 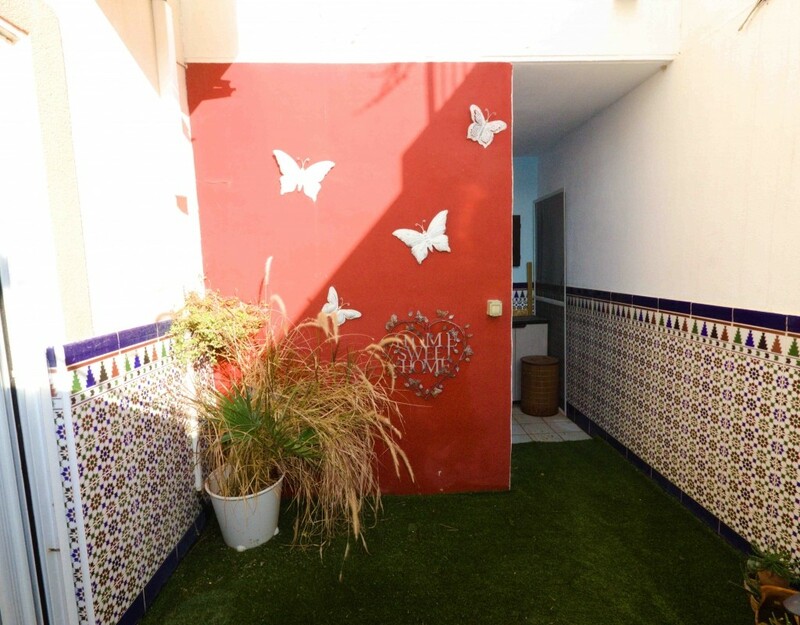 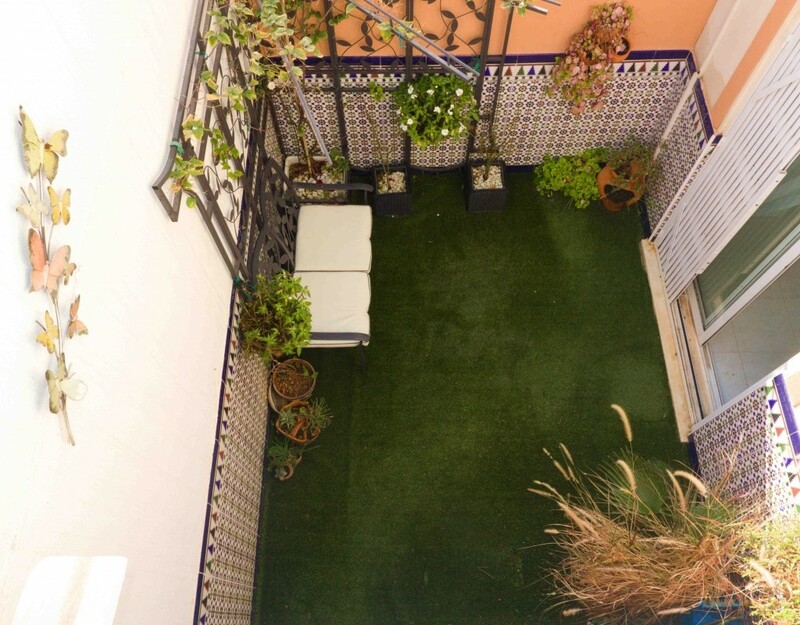 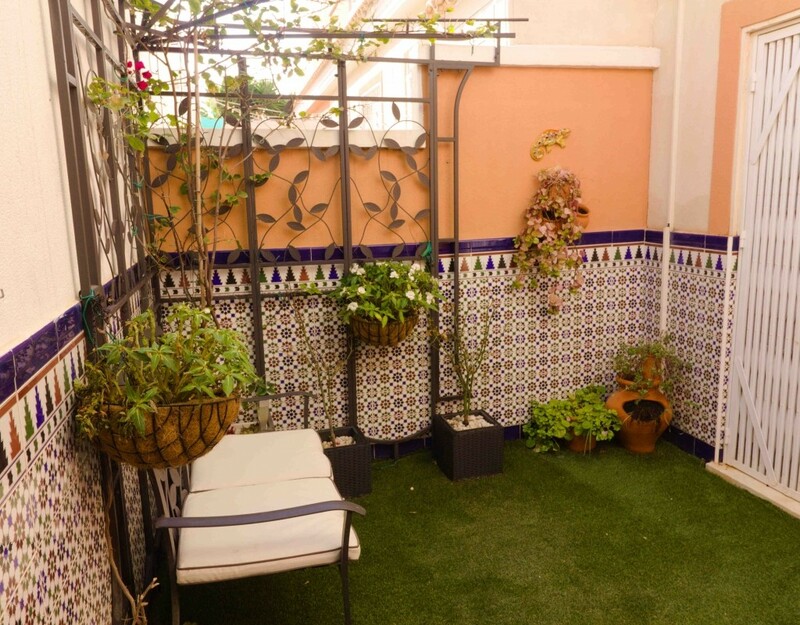 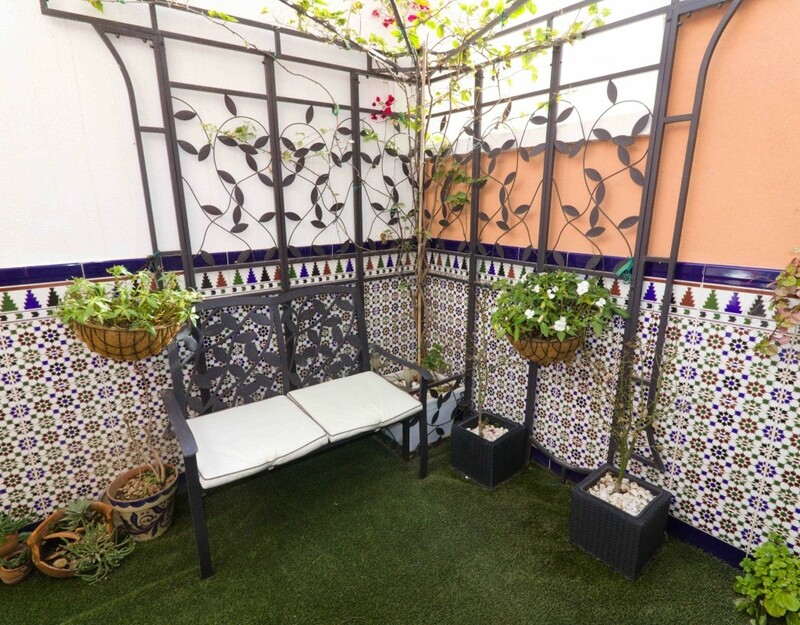 There is also the added bonus of patio doors leading out to a rear terrace with artificial grass & some lovely Spanish tiling, creating a nice chillout zone. 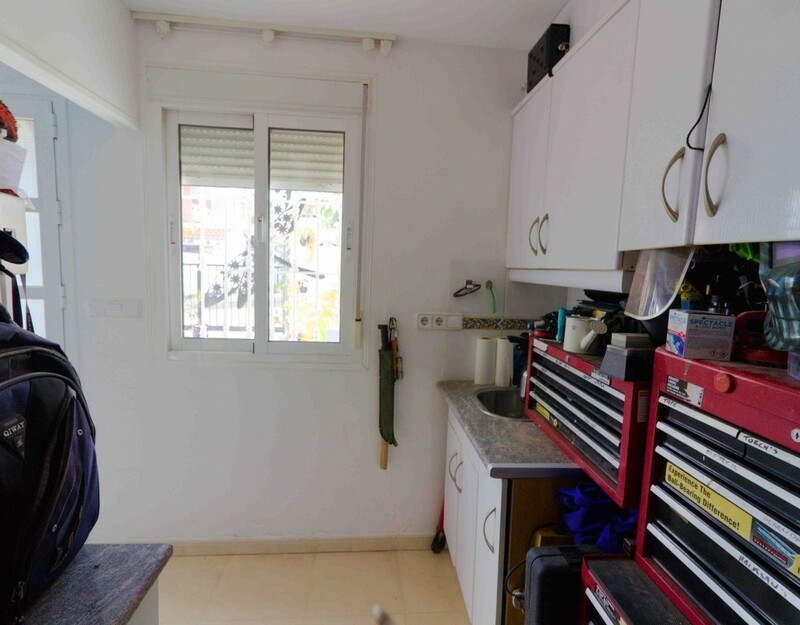 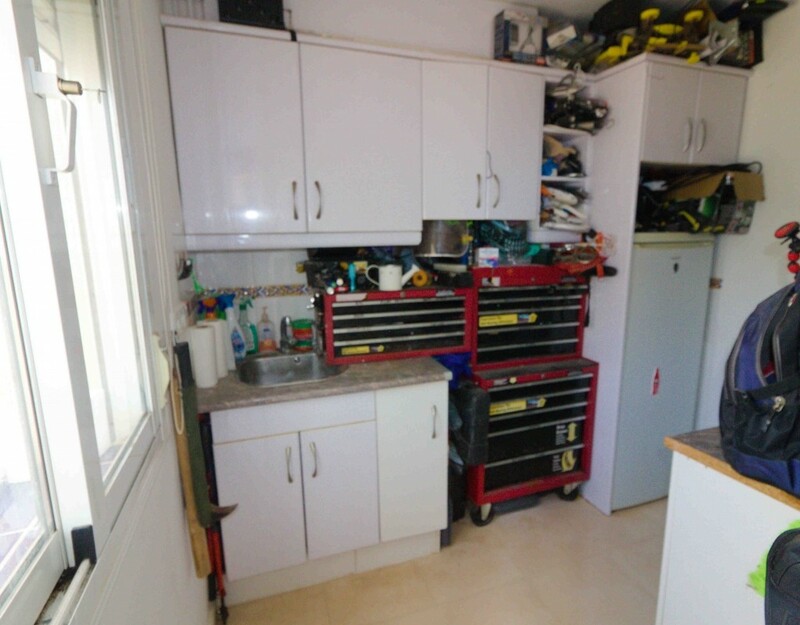 There is also a further bathroom, a second kitchen area, a large storage and utility area plus access to very good size garage which is currently being used as a storeroom. 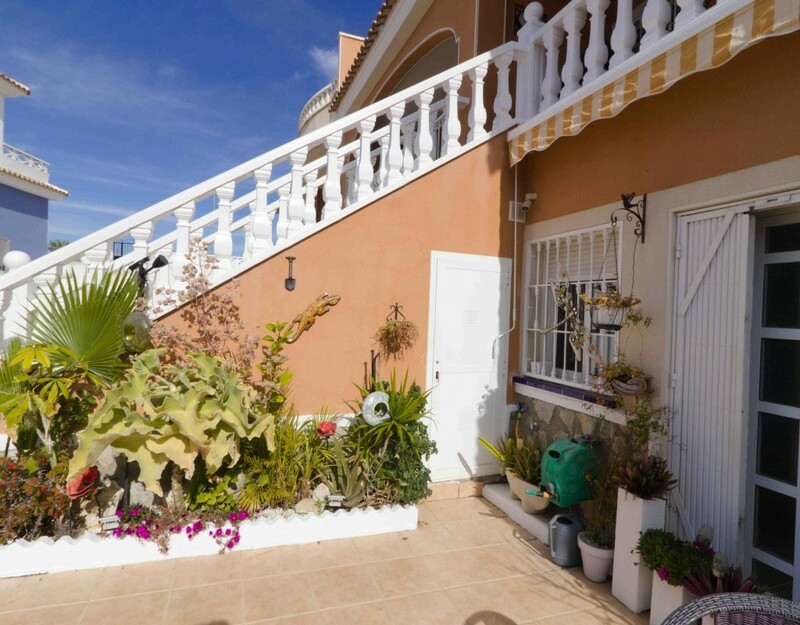 Outside there is also a large tiled front garden with off-road parking and of course entry to the garage if required. 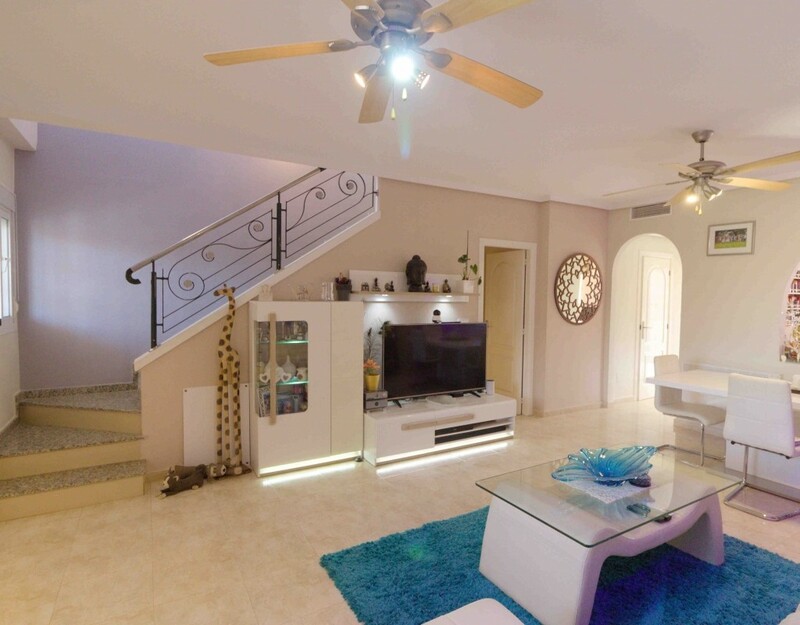 This stylish family size home would be ideal as either a permanent or holiday home in the sun and needs to be viewed to fully appreciate the quality and space on offer.